We hold the expertise in offering Rapid Prototyping Services for any type of product. With the help of a 3D prototype, you can view and test your product before beginning the manufacturing process. With our technology, you will save time and money in bringing your new product to the market. 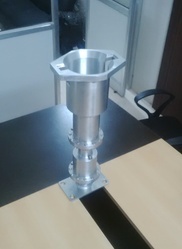 Assembled with Hydraulic seals and successful in functional testing with pressure of 2 tons. 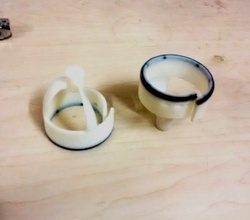 Rapid Prototype made in 2 materials (ABS + Rubber) at the same time. Looking for Rapid Prototyping Services ?